Please share your comments, thoughts and recommendations with us. 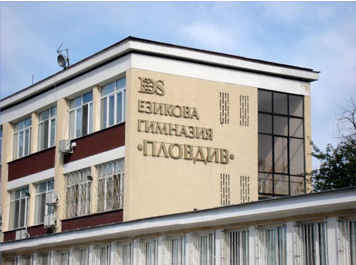 The ELS Plovdiv Alumni Association (PELSA) seeks to support ELS Plovdiv, its students, faculty, and programs by encouraging and facilitating participation by all alumni in the worldwide ELS Plovdiv community. Our primary objective is building a network of alumni, partners, and friends of the school, facilitating communications between our alumni regardless of their location, uniting efforts in support of ELS Plovdiv by nurturing each alumna and alumnus's relationships with the School and with other alumni. organizing programs, events, and meetings with alumni and the school. providing funding for school and alumni programs. All ELS Plovdiv alumni are automatically lifelong members of the Alumni Club. Our alumni cross every kind of border, so the Alumni Club brings you many options for continuing your ELS experience through fellow alumni. It’s easier than ever to connect with fellow alumni now as the Alumni Club has the entire alumni community available at your fingertips through this website. Log in and enjoy the many ways of interaction with fellow alumni that we offer. Whether you are looking for professional networking opportunity or simply want to catch up with old buddies, you are in the right place. Why is this site in English when it is about alumni of a Bulgarian school? Вижте тази страница на български.